3 Beds 2 Baths 1 Partial Bath 1,176 Sq. ft. 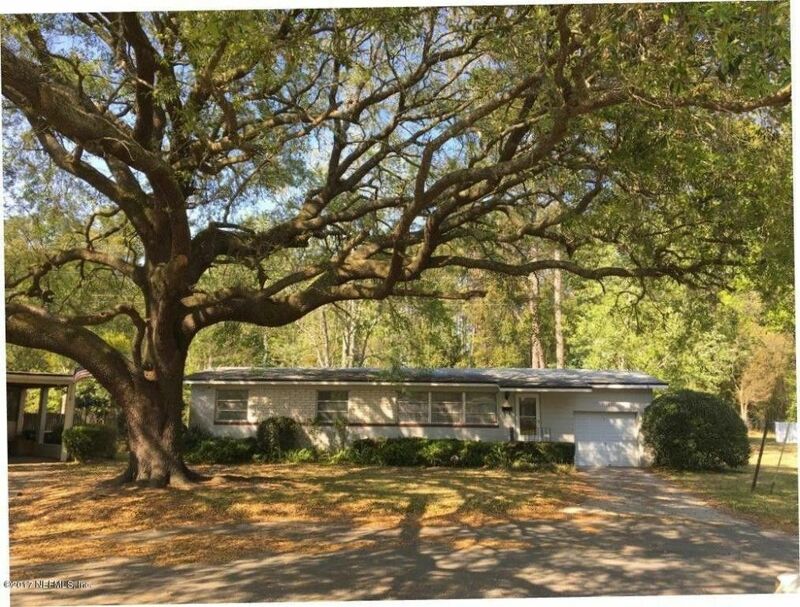 Here is a rare opportunity to own a desirable cul-de-sac home with a gorgeous, spreading oak tree on a large lot here in the Southside area. This lovingly maintained, three bedroom 1 1/2 bath home sits on .32 acre lot, that is big enough for a swimming pool and other outside activities. You will enjoy the view from your kitchen window of the fenced backyard and the wooded preserve behind it. The kitchen has been updated for you with all new cabinetry, stainless steel appliances and Corian countertops, both beautiful and durable, plus ample pantry space. When this owner built the home years ago, she installed carpet over the areas that had hardwood floors. With no homeowners restrictions or fees, you can bring your boats, recreational vehicles, or other toys here and plenty yard left. Directions: Take Beach Boulevard, East Of University Boulevard, To South On Dean Road. Turn Left On Sans Souci Road. Go Straight, Through Stop Sign To End Of Street.